Today (December 31st) Thousands of Yoga Aspirants celebrate Swami Vishnu-devananda's 81st birthday. Swami Vishnu-devananda lived 1927-1993. 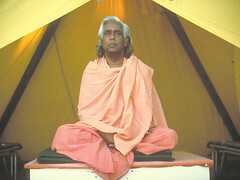 He was one of the pioneers of Yoga and Meditation in the West. 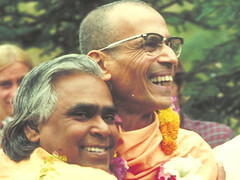 He was a disciple of Swami Sivananda. 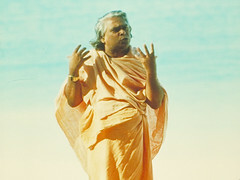 In 1957 he came to the West and founded the Sivananda Yoga Vedanta Centers. He is also my Master and Guru. I spent 12 years in his centers, before I startet the first Yoga Vidya Center in Frankfurt in 1992. 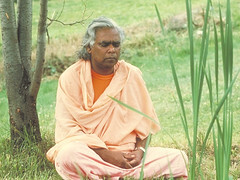 Here is a Slide Show with more than 100 photographs of Swami Vishnu-devananda. You might want to change to "full-screen mode" and dim the light in your room.